Here's the top 10 passers on PMA Class of 2012 who garnered highest score in the Philippine Military Academy (PMA) entrance examination last August 2011. The topnotcher of the Philippine Military Academy (PMA) “Bagwis” Class of 2012 is a 21-year-old from Lipa City, Batangas, he is a son of a carpenter. On March 18, 2012, he will formally receive the Presidential Saber from our President Benigno "Noynoy" Aquino. 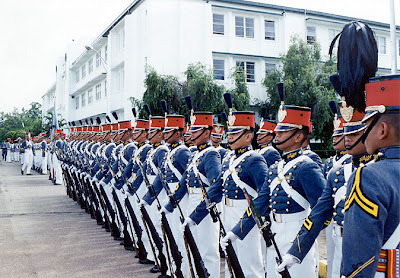 Comments or suggestions about "Top 10 of PMA Cadets 2012" is important to us, you may share it by using the comment box below.